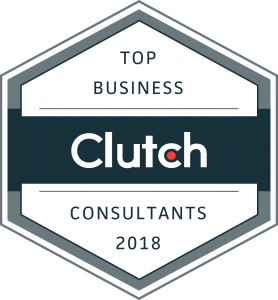 In their annual press release of the best B2B service providers from around the world in a variety of categories, Clutch has recently featured our team as a leader for business consultants and appointment setting services! Listed alongside some worthy competition in a booming industry, it’s an honor to receive this award and recognition for our hard work. While any company can get listed on Clutch, only the highest performing are featured as leaders by means of verified reviews and Clutch’s multi-faceted scoring methodology. Clutch is a B2B ratings, research, and reviews platform based in Washington, DC, covering thousands of companies across hundreds of industries, from branding agencies to call center services. Their ultimate goal is to create meaningful business relationships between the buyers and sellers featured on their platform. At the core of Clutch’s analysis are client interviews, where their team speaks to a company’s references on the challenges, solutions, and results of their time working together. They then take into account a scoring methodology, encompassing factors such as clientele, market presence, industry recognition, and more. Clutch is thereby able to form a Leaders Matrix of the absolute best firms in a particular industry. 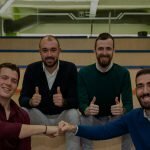 In addition to our recognition on Clutch, their sister website, The Manifest, featured us on their shortlist of the best lead generation companies in the world. They Manifest primarily focuses on industry news, company lists, and business guides. To learn more about why we’re a Clutch Global Leader and our clients’ experiences, stay up-to-date with our profile; to get working on your next big campaign with our team, contact us any time.